I returned from a glorious summer holiday in Cape Town on New Years Eve, just in time to join the rest of the UK for a cold, grey and glum January, waking up on the first day of 2018 with the obligatory hangover. The prospect of several months of frosty and grim weather stretching ahead of me. 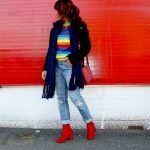 It was my intention to join a team of Instagram friends and influencers for a month of the hashtag #nospendjanuary, with The Silverkat blog post to inspire creativity. Winter clothes mojo sadly buried somewhere on a beach in Cape Town. 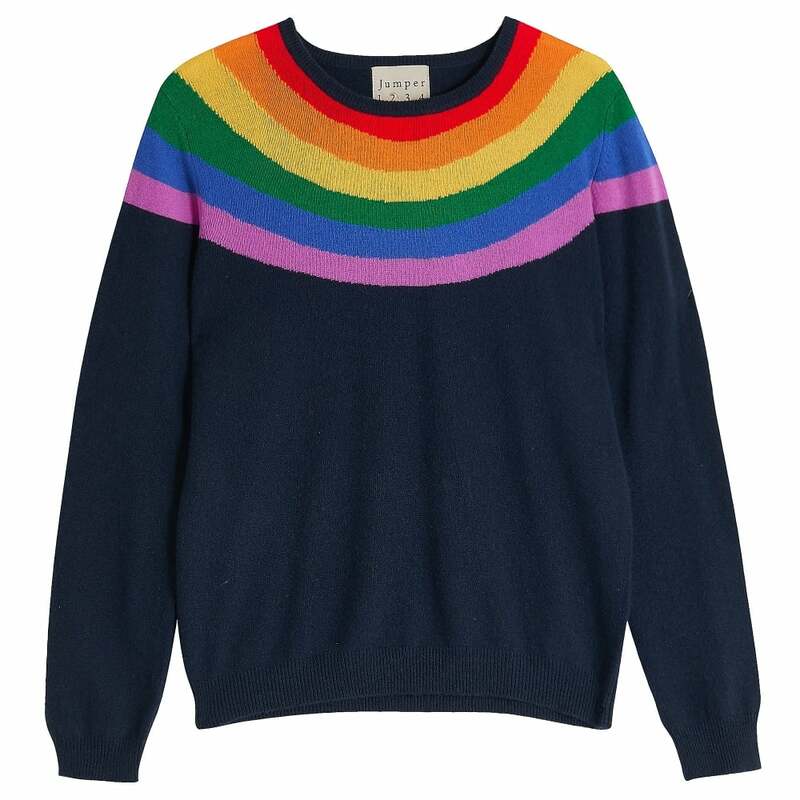 But then, thanks to that little technology demon that seems to read your mind, a brightly striped Asos jumper appeared somewhere in a sidebar of an e-mail or website, knowing that I might be chasing rainbows, missing the sunshine of the Rainbow nation. 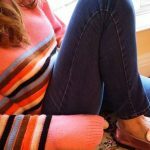 And so my resolve was broken and I ordered the colourful striped jumper as I knew that psychologically it would brighten the rest of the (worst) month of the year and make the transition to spring a little more tolerable. 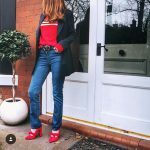 The Asos striped jumper I bought is a fine gauge, lightweight knit, so it’s perfect to wear now, under a coat, under a blazer when it warms up and on it’s own when the first sunny days of spring arrive. It transforms a plain outfit into something colourful and bright to fight those January blues. 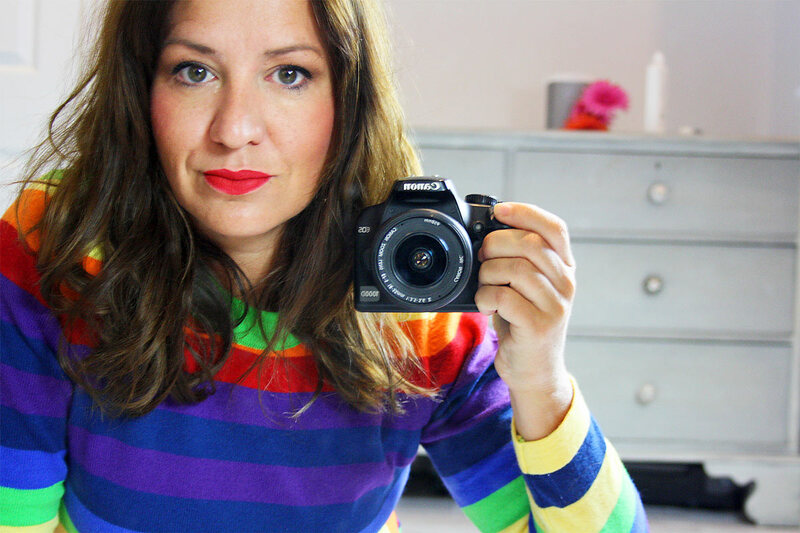 The lion’s share of striped jumpers have disappeared in the January sales, but I have found a few that you can still buy if your wardrobe needs a little rainbow cheer to get you through the next few months. And of course, who doesn’t love the (budget breaking) Gucci striped jumpers?